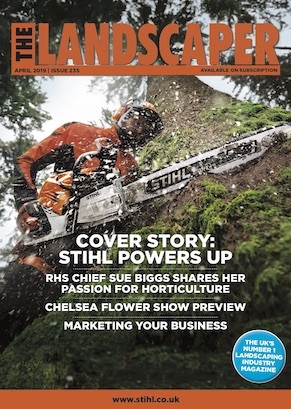 Max Harriman, junior designer at landscape company Bowles & Wyer, is one of five new designers exhibiting at the RHS Tatton Park Flower Show as part of the Young Designer Competition, with a garden designed to help city dwellers escape the stresses of urban life. 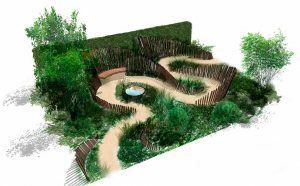 Titled ‘Calm in Chaos’, the garden will use design elements to encourage visitors to slow down and spend more time looking, touching and interacting with the natural environment, in order to reap the restorative benefits of being in a garden. Following the show, the garden will be relocated to Addenbrookes Hospital in Cambridge where it will be given a permanent home as the ‘NHS 70 Garden’ celebrating the 70th anniversary of the NHS and offering a calm and restorative space away from the main hospital for patients and their families. The garden will be the fifth garden designed by Bowles & Wyer for the Cambridge University Hospitals.